China and Malaysia have signed a supplementary agreement on a delayed railway project to reduce costs, a positive move toward starting construction and valuable experience for China's future cooperation with other countries under the Belt and Road Initiative (BRI), experts said. China Communications Construction Company (CCCC) signed a supplementary agreement on the East Coast Railway Link (ECRL) with the Malaysian government, adjusting the cost of the rail project down to 44 billion ringgit ($10.7 billion) from the original 65.5 billion ringgit, according to a statement CCCC sent to the Global Times on Monday. The ECRL project, 640 kilometers long, is a major cooperation project under the BRI between China and Malaysia. It will connect the east and west coasts of Malaysia. It is expected to be finished by the end of 2026, said the statement. 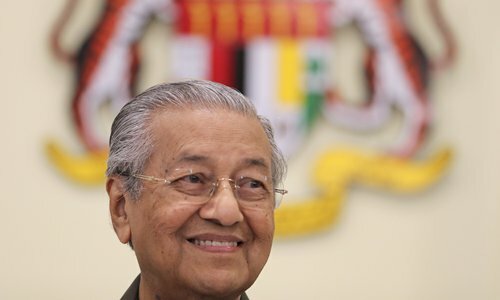 Malaysian Prime Minister Mahathir Mohamad said Monday that the improved ECRL plan is a considerable saving for Malaysia as the interest payments will be far lower, The Straits Times reported. He said the new plan will attract a large amount of opportunities for freight and passenger transport as well as investment along the line, the Financial Times reported. The ECRL project was suspended in August 2018. Malaysian Prime Minister Mahathir Mohamad made the announcement of the suspension during a visit to China after his re-election. Xu Liping, a senior research fellow at the Chinese Academy of Social Sciences, said in January in an interview with the Global Times that the suspension of the ECRL project was largely due to unsatisfactory financial conditions in Malaysia. "The supplementary agreement is a good result for the ECRL project. We can use the experience to help deal with future cooperation projects," Zhang Yunling, director of the Chinese Academy of Social Sciences' Institute for International Studies, told the Global Times on Monday. "Slow progress has been a problem in cooperation with Malaysia, and also with other countries involved in the BRI including Myanmar, Thailand and Sri Lanka, due to issues like financing and different national laws," Zhang said. He noted that the BRI is a new development model. It is understandable that adjustments are needed to make projects better conform with other countries' national conditions.